If you love sun, water, fun & adventure then this is the perfect trip for you. Packed with loads of inclusions, you’ll experience the best of what makes the East Coast of Oz so amazing. Take a surf lesson in Coffs Harbour & head to the Whitsundays & jump onboard a yacht for a truly Aussie experience – sailing in this slice of paradise. Learn to sail like a pro, or just work on your tan if you wish. Get a taste of the adventure of Cairns with a bit of city action & bright lights mixed in for good measure. You'll swim, snorkel, maybe hold a koala or two, jet ski & even towel off for some shopping, bushwalking, and tandem skydiving if you’re up for it. 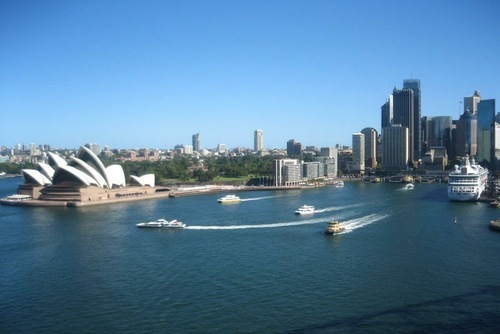 Sydney rocks & with Contiki you’ll see the best of the city. First up, get in the know on Sydney as your Trip Manager points out all the hottest spots & icons of this harbourside haven. From the babes on the beaches of Manly, the buzzy Kings Cross & its colourful characters to Chinatown & Darling Harbour, the sights & sounds are as varied as its residents & we’re here to uncover it all. We’ll also take you to Mrs Macquarie's Chair & The Rocks, for undoubtedly the city’s best views of the Opera House & Harbour Bridge in one go (so it’s perfect for some of those legendary Sydney snaps). You could even try scaling the heights of the Harbour Bridge on an optional BridgeClimb or take a tour around the stunning Opera House! Later, it’s a totally Sydney experience with an included ride to the famous Manly Beach. We’ll drop you right at the beach. Bliss! On arrival, grab some lunch then throw down your towel, pop in your iPod & take time to paddle in the cool water, work on your tan if the weather is right, or just people watch as you soak up the vibes & atmosphere. There are loads of shops & restaurants here too, for those that are keen to check out the local buzz. Later, take the Sydney scenic route back - you’ll get a panoramic view of the city as your backdrop whilst you cruise on the famous & iconic ferry. Chill out on the coach today and chat with your travel buddies as we head northbound over the Sydney Harbour Bridge. We stop by seaside Port Macquarie for lunch before heading to Coffs Harbour, home to surf beaches, fishing and banana plantations. This is a chance for a real Aussie overnight as we arrive at our Special Stay experience at our Aussie Surf Camp. Maybe get to know your Contiki team & travel buddies over a few drinks. Our cabins are right on the beach so soak up the surf vibes and relax by the open fire under the stars. This morning wake up to one of our Aussie highlights, a surf lesson! An awesome Aussie experience – hit the waves & learn to surf with some professional instructors as you have a go at surfing! Join some of the coolest people on the planet as you get involved with Australia’s beach culture. It’s a fun way to learn how to surf as our professional local instructors show you just how it’s done. 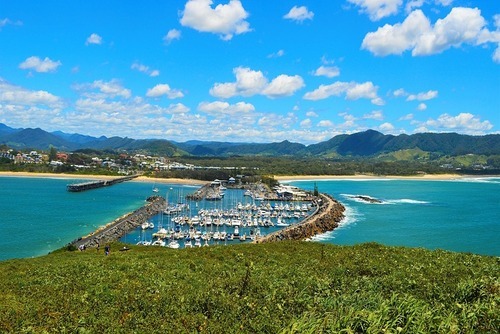 The perfect Aussie experience & will top off your Coffs Harbour stay! Later, it’s time to hit the road for our next overnight stop, gorgeous Byron Bay – one of Australia’s gems & a great place to hang out! With a laid-back lifestyle, cute little shops, organic food, alternative therapies and around 30km of pretty beaches, it’s a must see. Byron Bay is also known for its incredible marine life. Head out to Cape Byron, Australia’s most easterly point and see dolphins and humpback whales if you’re lucky, then grab some lunch back in town and maybe take a swim at the beach & soak up the hippy vibes & easy going atmosphere. There are loads of other things on offer here too, like a sea kayaking adventure where you catch up with a family of dolphins at Wategos beach, their curiosity often brings them right up next your kayak, and snorkeling at Middle reef home to turtles, rays, corals, eels, starfish and sharks. This morning we cross over into Queensland and visit Currumbin Wildlife Sanctuary where you’ll get up close to Australia’s amazing native animals. Cuddle a koala, feed the kangaroos and see wombats, emus, crocodiles, dingoes, Tasmanian devils and colourful birds. You can feel good about doing this too, as our visit to this not-for-profit organisation goes towards the sanctuary’s animal hospital which helps over 4,000 injured animals every year. Tonight we pull into legendary Surfers Paradise, the Gold Coast’s party hot spot and home to some of the best surfing beaches in the world. Grab some of your new friends and join the party atmosphere of Surfers tonight. There is an optional Cabaret dinner followed by included VIP entry into one of Surfers Paradise’s best clubs. 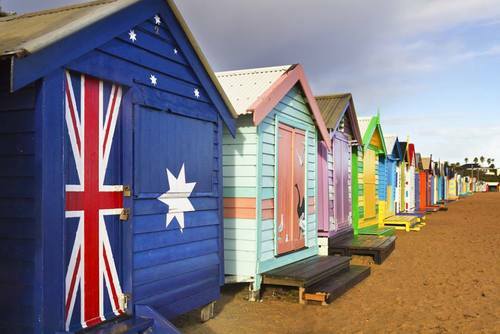 With heaps of restaurants and a buzzing nightlife, there’s something for everybody. With a free day, hang out among the bronzed bodies, bikini babes and surfer dudes on the golden sands. Check out what Surfers is most famous for, the three kilometers of gorgeous natural beaches. Kick back and spot some locals showing off their talents in the waves. If you want to get amongst the action there’s so much happening in Surfers Paradise you are spoilt for choice. You could head up into the Hinterland Mountains on a 4WD trip, visit South Stradbroke Island on a kayaking safari or spend all day at Crocodile Hunter Steve Irwin's Zoo, Australia Zoo. Our hotel is only a short walk from both the beach and downtown Surfers Paradise so you could also hit the shops – Surfers has some great places to shop and a huge outlet mall for bargains, so get some tips from your Trip Manager on where’s best to head. As we make our way up the coast, we make a stop in Brisbane to see what this city is all about. You’ll get a feel for the capital of Queensland’s laid-back atmosphere when we have a look around town. Noosa is up next. It’s a trendy beach resort town. You could take a stroll through the shops or sunbathe and swim at the beach before we check into our resort. Tonight, go local and enjoy a taste of Aussie life as we head to the surf club for our included dinner overlooking the beach. Later, if you want to take it up a level, head out into the town & explore Noosa by night. This morning we make our way north to Fraser Island, a slice of paradise. This UNESCO World Heritage-listed site is the largest sand island in the world and is 800,000 years old. Packed with around 40 freshwater lakes, lush rainforests and diverse wildlife, Fraser Island lives up to its amazing reputation. If you want to explore as much of the island as possible, jump on our included full-day 4WD tour. Meet your Local Guide in the morning and be shown some of the island’s best spots and hidden treasures, taking you through the island’s sand dunes, rainforests & freshwater lakes. Our Local Guide will show you some of the island’s best spots and hidden treasures, such as Lake McKenzie – make sure you keep your camera handy – this is one of Australia’s most beautiful regions. Back on the mainland this morning, we continue inland to an authentic country homestead, right in the heart of Queensland’s cattle country. During our time at Langmorn, a working cattle station, you’ll experience a taste of real Aussie country life. The owners will show you around the enormous property in a behind-the-scenes look at daily life on the farm. Taste local hospitality tonight as your welcoming hosts pile your table high with a hearty roast beef and vegetables (like you've never tasted before) followed by an indulgent homemade decadent desert. Later, have a go at whip cracking an authentic leather stock whip under night lights before heading back inside for traditional Aussie bush dancing. Have some fun and a giggle with some evening karaoke. See if you can spot the 'Southern Cross' amongst a chandelier of stars, a constellation only visible in the southern hemisphere & featured on the Australian flag. Today we drive to Airlie Beach, gateway to the Whitsundays Islands and the Great Barrier Reef Marine Park to board our sailing yacht. 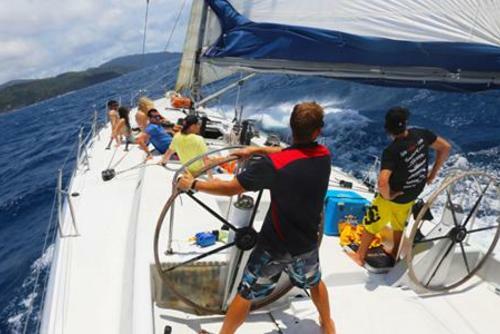 Enjoy two nights sailing the stunning Whitsunday islands with your friends. Swim, snorkel, or laze your way around the 74 islands of this tropical paradise, where you will past the lush tropical islands, snorkel the many spectacular coral reefs, laze on the world's best beaches and personally meet an extravagant array of sea life. You can help the crew & learn how to grind the winches & hoist the sails, or just relax and top up your tan in the sun. After sailing back to port, we head deeper into the tropics of Australia today when we hit Townsville for some free time. Check out the colonial buildings and get a feel for its maritime past as we drive along the esplanade and into town where you can grab some lunch. 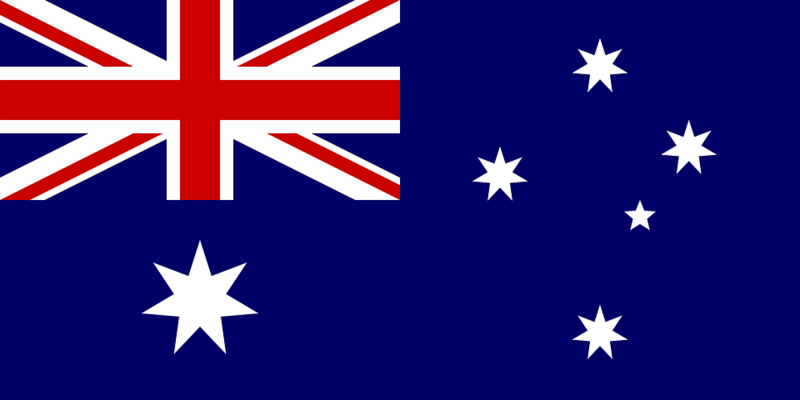 Tonight we head out to a local restaurant for dinner where you have the opportunity to try kangaroo fillets, amongst other delicious Australian delicacies. In your free time on the first night in Cairns, walk around the buzzing night markets. It’s the perfect place for shopping and with everything from fun, kitsch treasures to local crafts like boomerangs and didgeridoos. Wake up to the warm waters of Cairns. 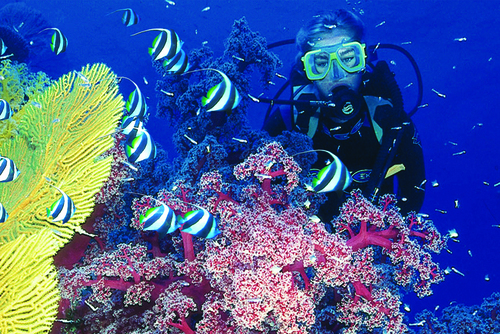 There’s a chance to experience the Great Barrier Reef on an optional day trip. Put on your snorkel gear or try an optional introduction to scuba diving and check out colourful fish, turtles, vivid coral and the incredible clear waters. Later, hit the seaside esplanade back in Cairns, sit down with a coffee and people watch. For your last night with the group, there’s a chance to head down to a local hot-spot for dinner and a dance if you’re up for it. Feed your your inner adrenaline junkie or relax? It’s your choice with another free day to do what you’re into. For those who are keen for a fun and thrilling ride on the rapids of the Tully River, join our optional white-water rafting adventure activity with our professional Local Guides. There are loads more activities available in Cairns like hot air ballooning, sky diving and bungy jumping – just ask your Trip Manager for some more info. Later, it’s time to swap emails & numbers as your tour ends at 5:00pm.